“I was out in the pet cemetery that sits inside our orchard at Almost Heaven Ranch, standing in front of Shakira’s recently filled grave. 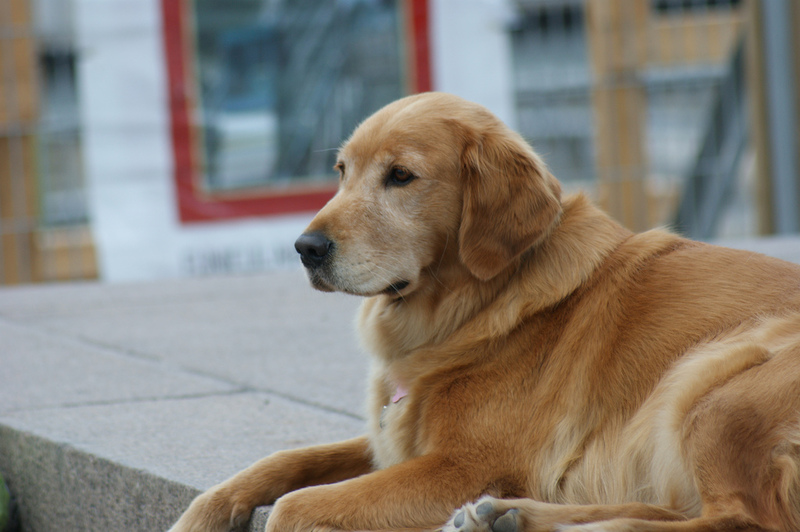 Shakira was our beloved female,15-year-old Golden Retriever who we just euthanized when she was in rapid decline from kidney failure. I then looked at the graves of Sirloin, LLLucky, Scooter, Shing-I, and Bruce, and reminisced on each when it had become the time to say goodbye to them. “When” can take on several meanings from a specific day or time, an alignment of circumstances, or the actual decision to euthanize. In our pet cemetery we mark the time by two years with a dash between, but it says nothing about how they died (natural or euthanasia) and what led to the final chapter of their book of life. Sirloin and LLLucky died horrific deaths, whereas Scooter and Shing-I had easy goodbyes at Bonners Ferry Veterinary Hospital, and Bruce and Shakira had beautiful, more peaceful goodbyes at Almost Heaven Ranch, surrounded by people who loved them in a place they loved. I’m a huge fan of home euthanasia services. 1. When your pet is in pain or extreme suffering that can’t be relieved. 2. When your pet has been diagnosed with a condition that is incurable or can’t be managed or successfully treated. I learned that adage from famed veterinary oncologist Dr. Greg Ogilvie who reminded me that only pet owners know what are good and bad days for their pets. For one, good days are when the dog still wants to chase a tennis ball, while for others, just a healthy appetite is enough. For every pet owner I thought might have wanted to perhaps euthanize a pet a little early, there are 50 I thought might have waited too long. As in the pet experienced extreme pain and suffering for longer, when the “final grace” would have been best. My belief as a veteran veterinarian and life-time pet lover is that “I’d rather a pet owner was a week too early than a minute too late” to say the final goodbye. PS: Thank you to Dr. Marty Becker for his insightful and kind sharing of our Animal Human Connection. When we met at BlogPaws, I knew we were kindred spirits and like-minded individuals. That’s such a difficult topic! My Dobermann had two new knees, so I always thought that one day, I would have had to make the choice. But as it turned out, she got a cardiac attack and just died from one minute onto the next. Gosh, it was horrible. I felt so, so, so heartbroken! But I’m kinda ‘happy’ I didn’t have to make the choice. She went on her own terms! Don’t you hope that is how you can leave on your next great adventure? You were blessed to have the love of a great dog. This is a topic that I hate to think about, but yet it is so important to prepare for. Hello Carleen, Thanks for sharing and caring about your fur-family. They become very dear to us. Mr. N is my first dog so I haven’t really had to make a decision yet. I do agree with erring on the early side though. I recently heard a story about someone who was really struggling with the decision and her pet was suffering. Welcome to the wonderful world of being owned and loved by a pet. They become very dear to us. However, we are all going to die sometime. It just means going on to the next great adventure. Knowing when to euthanize a pet is one of the most difficult decisions. I was recently faced with the decision for the first time in my life with our dog. After a week of being extremely ill and no signs of improvement, we made the decision to help her “cross the Rainbow Bridge.” However, when it came time for us to take her to the vet, she made a complete turnaround. While I am definitely grateful that Lucy recovered and is now happy and healthy, it has made me realize how much harder it will be when we are inevitably faced with the decision again. I will always be wondering, will she recover? Should we keep waiting?? Dr Becker is so wonderful & insightful, I’ve learned a lot from him. He also inspired me to bevome a therapy dog handler through his book The Healing Power of Pets. We had a home euthanasia for my cat Maggie. It was much better than having her on a cold steel table or taken from my arms & brought to a back room. It’s a personal choice though. It’s so hard to know when it’s time. Thanks for this great post. We are blessed to have our animal companions for as long as we do. They teach us more in their lifetimes that we have the capacity to learn.